Recently I was asked to send, by electronic mail, details of my conversion experience to a place where I was due to preach. Not because anyone there had any doubts about my conversion but they wanted to know something about the way the Lord had brought me to a saving knowledge of Himself. Having taken the time to print out my testimony I thought it would be a pity to leave it languishing in the bowels of my computer never to see the light of day by those who sit regularly under my ministry. Therefore I have reproduced it here for your interest and in the hope that it might be of spiritual benefit to some and also be a catalyst to cause you to also share your conversion story. I invite you to send me your testimony for sharing. Ideally send it by E-mail but a hand written or typed copy can soon be made ready for printing. All one needs to keep in mind is that such an exercise is for the glory of God and not self. Who knows? Perhaps what God has done in your life will be of blessing and benefit to others. I am a Sutherland from Sutherland! I was born in the village of Helmsdale when the Pope was there (the General Pope Maternity Hospital!). However I belong to the village of Brora 11 miles south of Helmsdale. I was named Alexander but, generally speaking, only my late parents called me by that name. Like my father I am more acceptably known as Sandy. 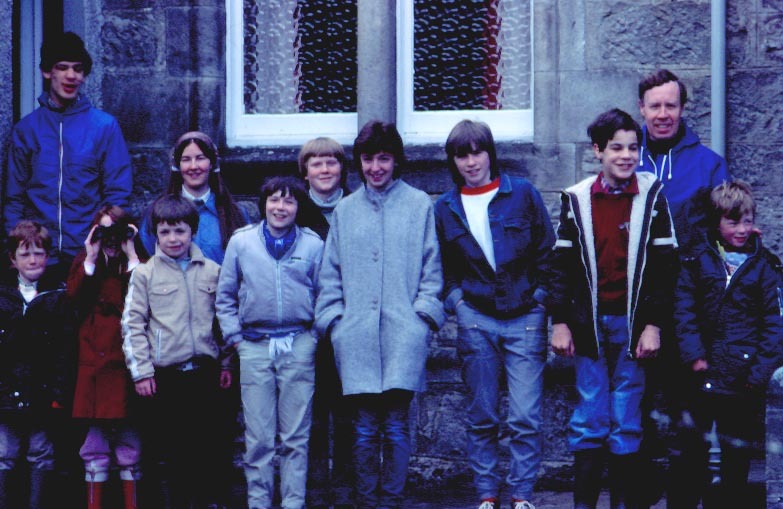 My parents were of the Church of Scotland and I was put to Sunday School. I can remember very little about Sunday School except the overwhelming desire to escape! This came soon enough when I, foolishly, went ‘over the wall’ at 14 years of age. 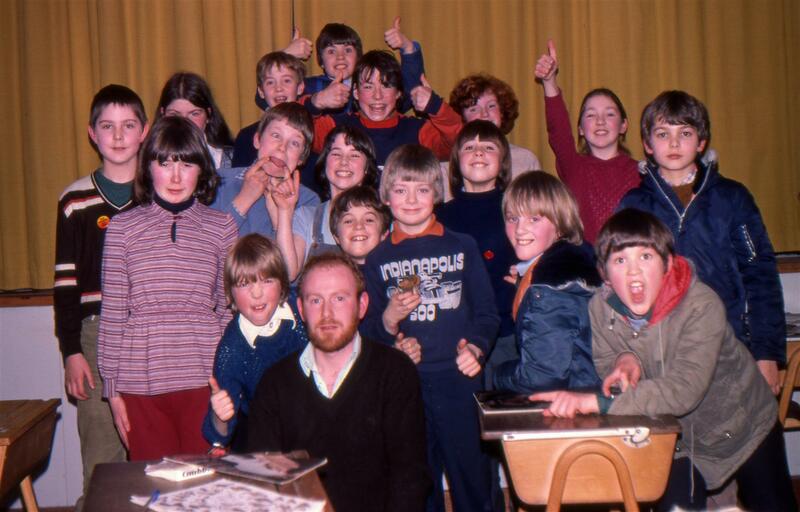 I left day school at 15 to work (for 17 years) in Clynelish Distillery in Brora. With money in my pocket the nightlife of Sutherland beckoned; and the inevitable happened—I got married! Two years later, Jessie and I had our first child, Wendy; and then Kenneth came along a year or so afterwards. (You’ll notice by now, with the lack of dates, how I am avoiding giving Jessie’s age away!) In 1975 a friend of Jessie’s, who had also recently married, came, with her husband, to stay for the October holiday week-end. I did not have very much in common with him but he was interested in bird-watching and asked me to go ‘birding’ with him. I thought, ‘Why not?’ and dusted down a pair of binoculars that looked like they belonged to my great grandfather and we headed off for the woods. Surprisingly I was quite impressed and excited at seeing and being able to identify several ‘new’ birds including the joint smallest in Britain the Goldcrest. I thought to myself that this would make a great hobby if I could get a decent pair of ‘binos’ and a camera and try to take a picture of every species I saw. My intention was to take up bird photography big time! Little did I know that it was in the will of God to use this hobby as a link in the chain to my salvation in Christ. After two or three years when my collection of bird pictures and my knowledge on birds increased I started a Young Ornithologists’ Club and I was soon invited to show my wildlife slides to various other groups such as the WRI and every Christmas Season to the Woman’s Guild who put on a special Afternoon Tea for the pensioners of the village. It was here that I first met the Church of Scotland minister the Rev Alasdair MacLennan. He took an interest in what I did and I thought that I might go along to church sometime to, as it were, repay his kindness. This we did as a family. Initially we became a little irritated by the ‘you must be born again to get into the kingdom of heaven’ message. We* did, however, ‘experiment’ by asking the Lord into our hearts (as we had been told was necessary for salvation) to see if anything would happen—but seemingly nothing ever happened, and life went on much as usual. Meanwhile I was out in the creation pursuing my hobby but I had now started to ponder where everything had come from—God or Chance? 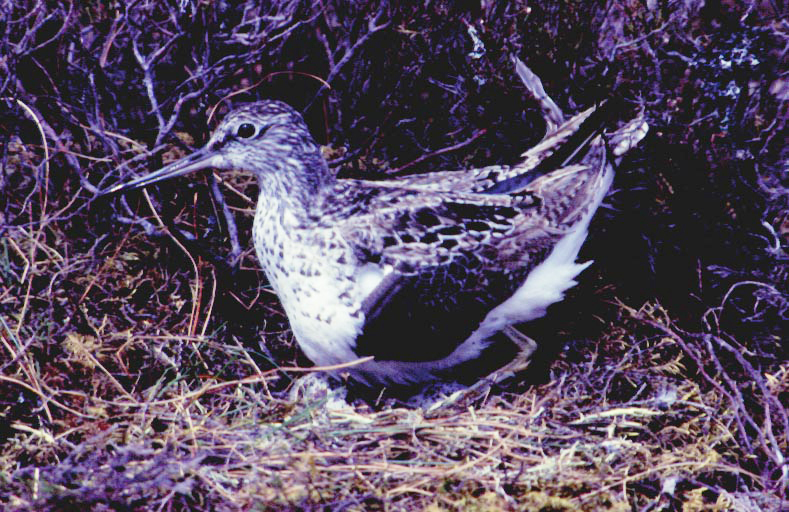 Then one day, while kneeling in a photographic hide at a Greenshank’s nest on a lonely Caithness moor, I gave thanks to God for creating the bird in front of me. In asking the Lord into my lifeI had expected something miraculous to happen—it did, but not in any dramatic ‘Damascus Road’ type of experience. For one thing I was now admitting from my heart that not only was there a God but that He and not Chance had made this creature before me. Previously I had thought that if there really is a God I’d find out when I would die and everything would be all right (after all I thought that I was as good as anyone else). But in hearing the gospel faithfully preached I learned otherwise: none are righteous; no not one, and that it was necessary to be ‘born again’ to see the kingdom of God. In looking back to my ‘a little bird told me so’ experience I believe that this was the fruit of my earlier ‘experiment’ when I had, from a human perspective, asked the Lord to come into my heart and forgive my sin. The photographic hide event was not only an emotional one but it was the catalyst to give my life a determination to know the Lord better and to serve the One who had shown me such amazing grace. The creation cannot bestow eternal life, only repentance of sin unto the Father and faith in Jesus Christ can give this, but there is revelation in the creation, which points back to the One who created it. I now realise that what is necessary for life eternal is not something necessarily dramatic but rather a sincere trusting in God by faith in Jesus Christ. It might be said that, initially, I was far from being sincere in my ‘try it and see’ experiment policy; but God in His mercy overlooked my foolishness knowing that I was seeking Jesus. In going on in the Lord there has been a strong learning curve in spiritual and Biblical understanding; and at a private and public level there has also been much change. Ironically, not too long after making public profession in Christ as my Saviour, I was appointed Sunday School superintendent! (Who said the Lord hasn’t got a sense of Humour?) I was also ordained as an elder in the Church of Scotland and started to preach in the Church of Scotland, Free Church of Scotland and in Brora’s Fisherman’s Hall. I should perhaps have explained earlier that as a young lad still at school I had a ‘religious experience’ under the preaching (at a WEC mission) of the Rev David Paterson. It was an experience that was not long lasting but it left me with a ‘soft spot’ for the Free Church people of Brora who never forgot me in their prayers (and still don’t!). I am now minister of the Free Church of Scotland not because of any ‘soft spot’ for the Free Church but because the Free Church is theologically the church for me. While theological issues were very important to my eventual joining of the Free Church it was initially the quality and depth of Free Church preaching that persuaded me (once the Lord had persuaded me to serve Him full time) to go, as a private student, on a four-year course to the Free Church College. 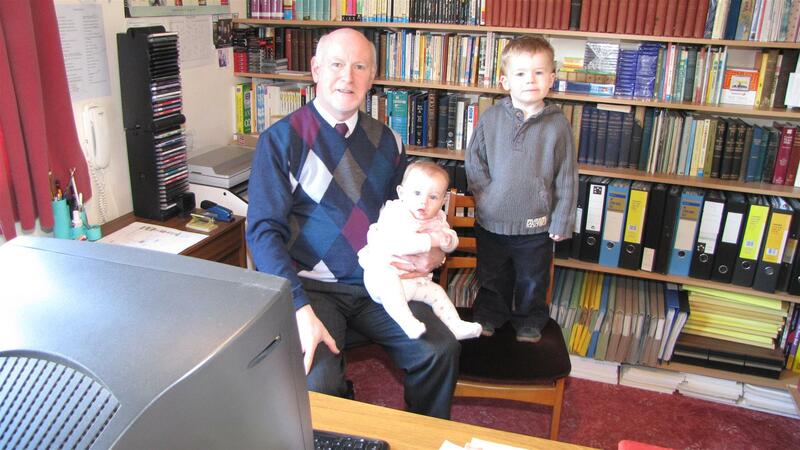 I joined the Free Church, in Brora, three years later and put myself forward for the Free Church ministry. Since then I have served the Lord in Mull, Kilmallie and now Fortrose. ‘To God be the glory; great things He has done’. Rev Alasdair Maclennan and The Saturday Club (Clyne C of S). * Jessie has her own testimony to tell but at many points there were common aspirations. God at this time in the late ’70’s early ’80’s worked in the lives of a number of married couples in our village. 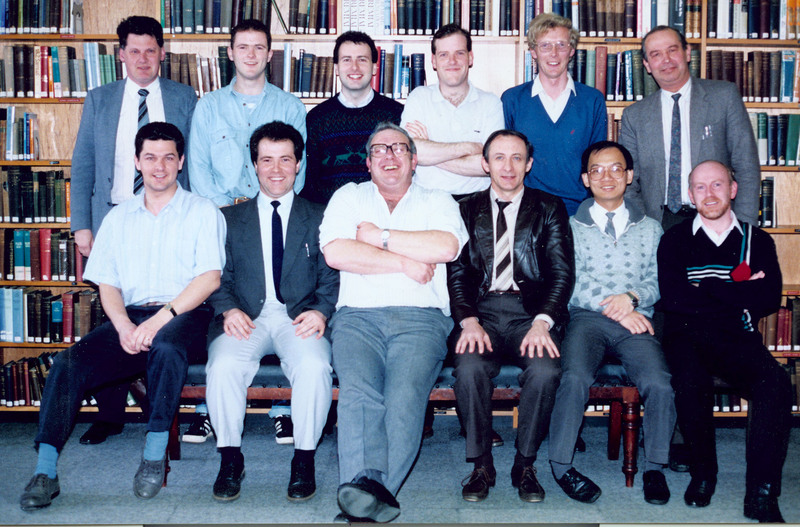 Most of whom have now left Brora but are still serving the Lord. GO YOUR OWN WAY…and see how far that gets you! SANDY SUTHERLAND thought he was headed in the right direction, so how come he was going nowhere fast? ‘There is a way that seems right to a man, but in the end it leads to death’ (Proverbs 14:12). I seem to make a habit of getting lost. Once I managed to get lost in a car park in Dundee, or to be precise, it wasn’t me who was lost – it was my car. I couldn’t remember where in the five-floored multi-storey car park I’d left it. I was sure I’d last seen it on Level 3, but hadn’t realised that there were two car parks attached to the same shopping centre – and I was looking in the wrong one! 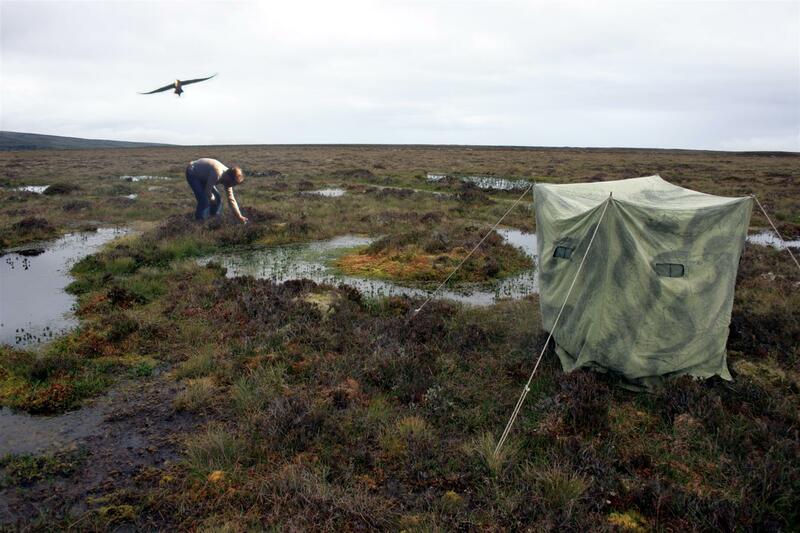 That was embarrassing enough, but the year before that I got lost in pancake-flat Caithness, when out bird watching on what I call the Caithness ‘tundra’ – boggy, peat Flow Country. 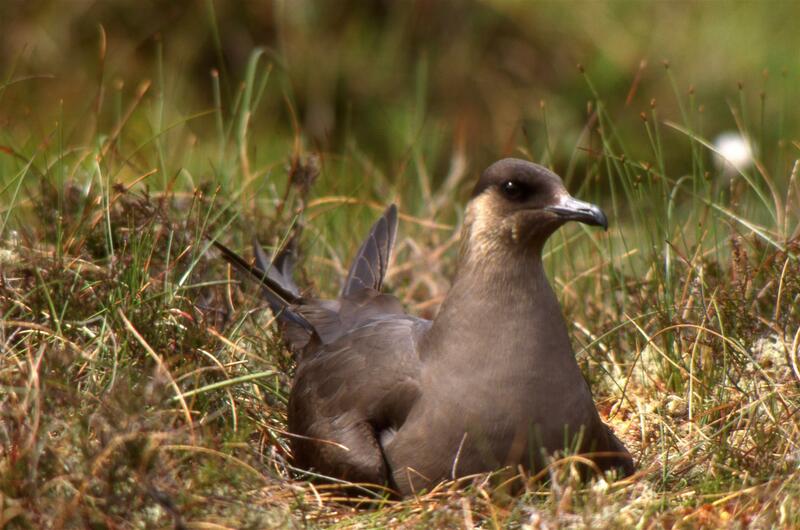 A friend and I were looking for the nest of an arctic skua (a summer visitor from the southern hemisphere), and planned to set up a photographic hide and take some pictures of the bird at its nest. This we did, but then thick mist descended. One moment there was clear visibility, and the next we were going round in circles because of the fog. After locating a nest and taking all the pictures I wanted, I sent a signal to Bob (by means of hanging a white hanky out of the hide window) to come and take over from me. When I went out, Bob went in. ‘I’ll meet you back at the car,’ I told him and prepared to leave. In case that sounds unsociable, when someone new goes into a bird hide, it’s necessary for someone else to walk away from it to make the bird believe the danger has passed. I set out, but the more I walked, the more I thought maybe Bob was right. Still, stubbornness set in and I marched on, convincing myself that I was heading in the right direction and sinking down into the quagmire, my head as waterlogged as my feet! The soft walking was extremely difficult and I had a burden on my back comprising a spare hide, a seat, tripod, camera and lenses, to say nothing about the weight of the packed lunch! ‘If anyone could see me now,’ I muttered, ‘they’d think I looked like Bunyan’s Pilgrim in the Slough of Despond with a burden on his back!’ But at least Bunyan’s Pilgrim was travelling in the right direction! I was not. I must have walked a distance that would easily have taken me back to the car, but there was still no sign of it, or the tree. There was, however, one sign that showed me I was heading in the wrong direction. To my right there appeared, momentarily above the mist, the tall Eiffel Tower-like mast of the Rumster TV transmitter. If I was walking in the right direction, the mast would be on my left hand side. Yet I convinced myself that I was still on the right track! ‘Ah, I must be walking on the north side of the mast. I’m not lost at all! I’ll slog on my way!’ In my stubbornness to convince myself that I was right, I actually reasoned the evidence away! Like the Prodigal Son, who came to his senses in the far country, I had to turn back! I had ignored Bob’s advice and, to suit my own theory, I had even misinterpreted the evidence! I don’t know what was worse – having to slog all the way back to the hide and then from there walk the same distance to the car, or having to grovel to Bob and admit that he had been right, after all! I comforted myself with the truth that all things work for good. At the very least, I’d lose two or three pounds in weight with all this ‘yomping’ around, for it couldn’t have done my poor, out-of-condition, ‘sitting-behind-a-desk’ body any harm. At the very least, I’d earned a fish supper on the way home! My ‘lost’ experience illustrates how it can be with some people in spiritual things. They convince themselves that they are on the narrow road that leads to eternal life, even although advice and evidence are given to the contrary. 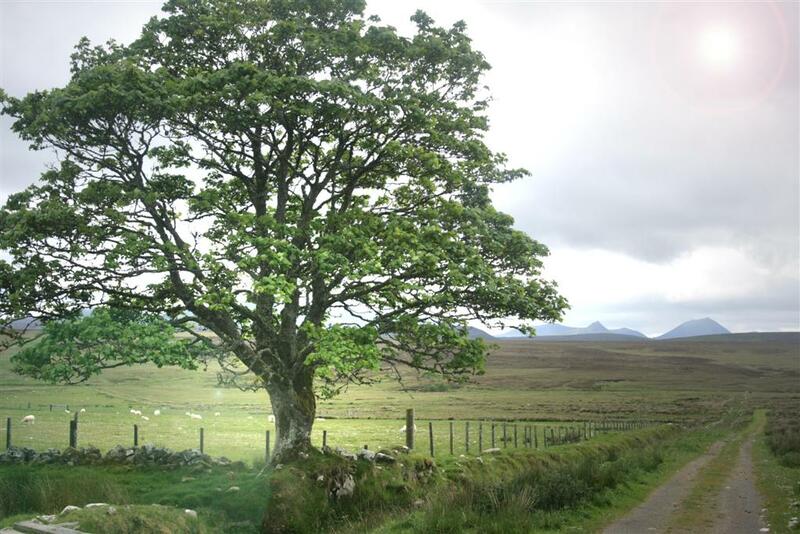 The Word of God, however, comes with a ‘tree’ on the horizon and tells those who are lost, but who are genuinely searching for a way back to God, that by going their own way (good works or religion or pilgrimage or giving to charity, etc. ), that there is no justification with God. When the Spirit of God gives us the ‘elevated binocular vision’ to see the Cross (the tree) of the Lord Jesus Christ, we will know that we were heading in the wrong direction and turn around. The Word of God shows me that I can find and have forgiveness of my sin without me having to do works or gain some kind of merit or pass mark with God. The ‘tree’ is the way back to God. My waywardness from God deserves punishment, but the Word of God shows me the Substitute (Jesus) on the tree for my sin and for the punishment of my sin.